It was here, in this mysterious place, that I discovered the seductive allure of a Parisian cafe, Amelie, and the Blue Dahlia. My mates wanted to visit this cafe because it was featured in the movie Amelie. Suffice it to say, it has become a major tourist attraction. 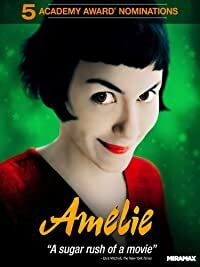 Apparently, Amelie was extremely popular back in 2001 being highest-grossing French-language film released in the United States. I watched the movie shortly after returning to the States, and honestly, the only reason I enjoyed it was because I saw a lot of the same sights that I visited while I was in Paris. It made me very nostalgic, and of course, happy, to be able to reminisce about this period of my life…sort of like I am doing now (lol). When you first walk into Cafe Des 2 Moulin you are greeted by laughter, cigarette smoke and on this particular night, charming French music from an American artist, the Blue Dahlia. As an American traveling solo throughout Europe, I have to say, it was always sort of comforting meeting other Americans. The one exception being the obnoxious American that you meet that gives all of us a terrible reputation abroad. In any event, we really enjoyed the music (see video below), and the lady in the black was an amazing dancer.